TheDwarf.com.au Concert Reviewer and also Editorial Assistant at The Saturday Paper. Andy also plays in HANA MARU, The Paradise Motel and Damian Cowell's Disco Machine. My name is Arty Rich and I love to review live concert for TheDwarf.com.au. I review live concert for TheDwarf.com.au. Carbie Warbie photographs over 200 concerts per year in Melbourne Rock Central, as well as all of the major music festivals from Bluesfest, Big Day Out, Soundwave, Laneway, Falls, Queenscliff, All Tomorrow's Parties, Sugar Mountain, Future Music Festival, Port Fairy Folk Festival and many more. His colourful photographs have graced the front pages of THE AGE newspaper, as well as being printed in respected international music publications like Pitchfork, Stereogum, Rolling Stone, NME, Rock&Folk (France) and 100's of other Australian music publications and websites. He has photographed popular international touring artists such as Coldplay, U2, Alice Cooper, Aerosmith, Andrea Bocelli, Queen, Elton John, Bon Jovi and many hundreds more. He is the official photographer for numerous events such as The Community Cup, Save Live Australian Music (SLAM) and lots of music festivals. He is also a strong supporter of Melbourne based entities such as Music Victoria, FReeZA Push, Community Radio (Triple R & PBS), Leaps and Bounds Festival, SLAM, Support Act, The Community Cup and 100's of up and coming artists. Carbie is one of the most popular Australian music photographers, with over 50,000 followers all over the world on Facebook, Twitter, Instagram, YouTube and Vimeo. Our legendary metal concert reviewer at TheDwarf.com.au is also a member of local band Muscle Car.  TheDwarfHQ is the shared account for TEAM DWARF. One of the first things to do to become a new contributor to The Dwarf is hook up and let's become friends on Facebook. SO PLEASE ADD CARBIE WARBIE NOW ON FACEBOOK! So that The Editor of TheDwarf.com.au can add you to our Contributor Group. Concert photographer based in Brisbane. An avid music lover and a deeply passionate reviewer of concerts. Paul Griggs is a Melbourne based wedding and portrait photographer. His work is journalistic in style with an emphasis on black and white photography. Over the last few years, Paul has branched out covering numerous music festivals such as Bluesfest, Kyneton, Queenscliff, Port Fairy, Mona Foma and more. His professional approach and eye for details, brings the quality of his music photography into the top tier of the industry. I love to write and attend concerts.